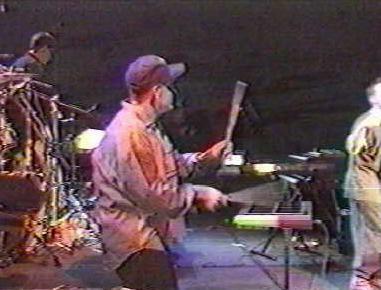 RECENT reports that 808 State's appearance on "The Late Show" signalled The Death Of Rock, the ultimate triumph of gormless, hyper-efficient artifice over blood-and-sweat artistry, have not been exaggerated. They are absolutely true. 808 State are a mess of gadgets, wires and doodles, engineered with super-competent finesse by four apprentice electricians. 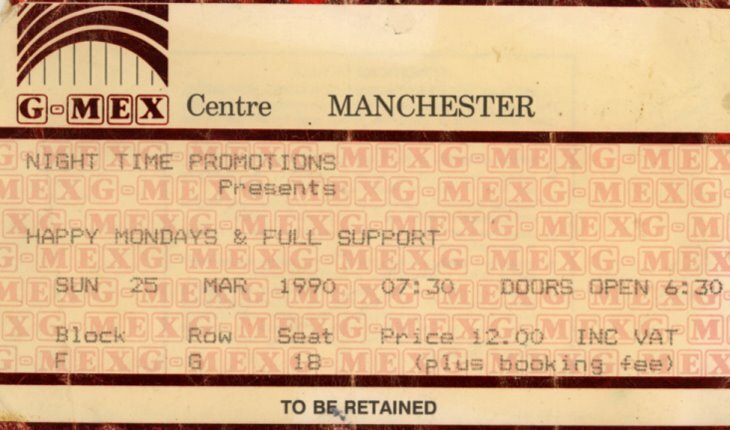 But here, tonight, enhanced by the brilliantly defined G-Mex mix and the awesome sight of 10,000 Mancunian fashion victims mobilised by an almost fascist purity of faith, 808 State exert tremendous fascination. Green laser lights beam 808 State's name onto plant-sized expanses of black cloth suspended from the ceiling, abetted by state-of-the-art graphics, while top DJs pump out a series of immaculate Acid beats, before Graham, Martin, Andrew and Darren arrive on stage at exactly the appointed time. This is the promise of early Eighties pop-gig dreams fulfilled; no gaps between tracks, no pause in the dance avalanche. 808 State achieve the impossible by recreating, live, the infinite fantasy experience of listening to records in your bedroom. Any misgivings about 808 State's complex of multiple-tempo rhythms and perplexingly intricate attention to detail being too fastidious or boffin-centred for club vultures are immediately blown away by the elaborate techno jazz-funk quake of "Cobra Bora", which is like watching a computer pogo. 808 State don't alienate groove cultists, as some reviewers suspected of their "Ninety" LP. The scientifically constructed components that make up fussy masterpieces such as "Boney Ween" and "That Bite" may sound threateningly cerebral in theory; in practice, they jolt like nothing so physical since Frankie or Shannon or "Blue Monday". Coincidentally, the chap in the natty black jogging pants and yellow sweat-top lending his angelic tonsils to "Magical Dream" appears to be Bernard Albrecht, singer with local best band in the cosmos, New Order. The smooth way he glides on, with the minimum amount of showbiz blather and copious heaps of boy-next-door charm, neatly sums up this event. So cool, so unforced, such controlled but overwhelming might. Three years ago, this was a ghost town scattered with paranoid jangle bands and crippled by nostalgia for better days. Right now, the glamorously rejuvenated Manchester dances and looks as though New York is some provincial mining village north of Barnsley. And 808 State, this motley assembly of musos and spinmasters, offer the heaven-sent soundtrack for this city's collective repossession of pop-cultural power. Phenomenal. 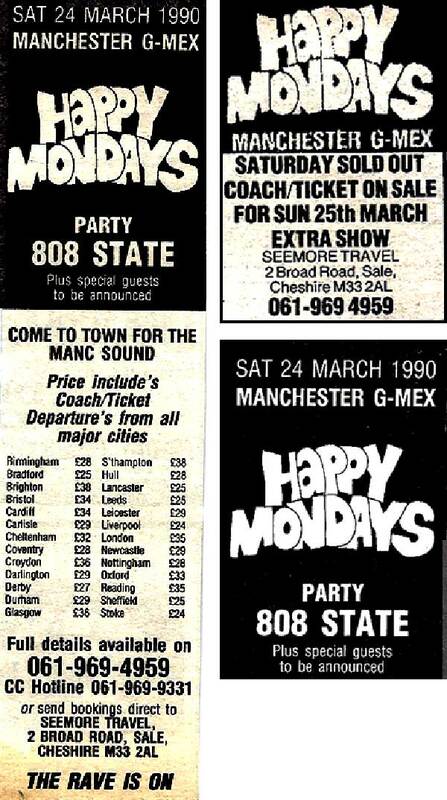 An 808 State show is the Hippyman And Her for new age footy fans. The stage is strewn with child dancers, video men, photographers, Bez wannabes and even some bloke who may or may not be switching the computers on and off. The shared laser show mimics the effects of massive drug consumption accurately enough but despite guest ravings from local celebs (New Order's Barney Sumner and MC Buzz B), the extended pleasure doesn't extend as far as me. Under the weight of this inconsequential muso-twiddling attentions wander. At half-time the bar closes early and thump thump thump, they're on! Hundreds are crushed in their flares during the rush to the front. Sweat, throb, and frenzy greet 'Mad Cyril', 'Lazyitis' (featuring the little man with the big voice Mr Karl Denver in his 'Top Gun' baseball cap), 'He's Gonna Step On You' (featuring a female Monday who gets snogged by Shaun and ogled by Bez and doesn't seem to mind!) and various new numbers featuring Shaun squinting at his lyric sheets through smoke-stung eyes. 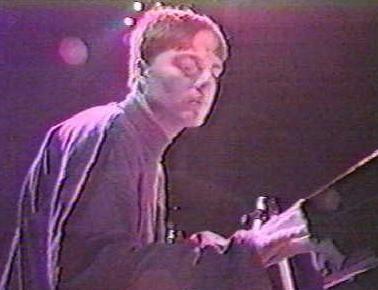 Despite some bad sync between the drums and machines, long gaps between songs, annoying videomen clambering everywhere and Bez looking totally clapped out, this was a definite, if expected, home win. Of course they end up with a marathon version of 'Wrote For Luck', bashing it out like the scuzzy little punk band they are and as the drums loop off into the night there's Shaun's dad dancing round like a loony on stage. When the Madchester bandwagon sinks in the ship canal these clever little sods won't be going down with it. House music, they say, never makes sense on a stage. 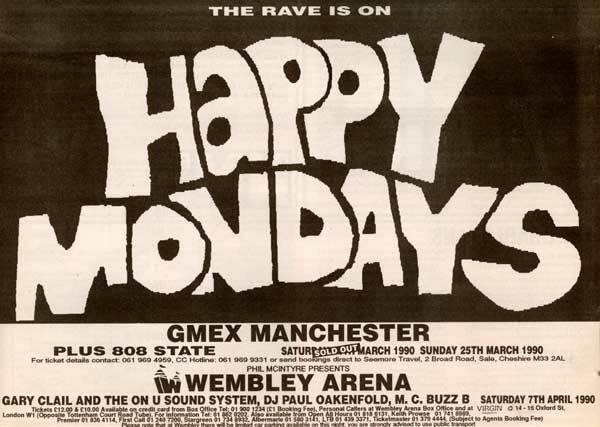 But nobody told Manchester techno programmers 808 State, who started their live career as support for Happy Mondays at this gala G-Mex bash, and went on to tour the UK with self-styled Mancunian House jammer MC Tunes and fellow northern House people K-Klass. 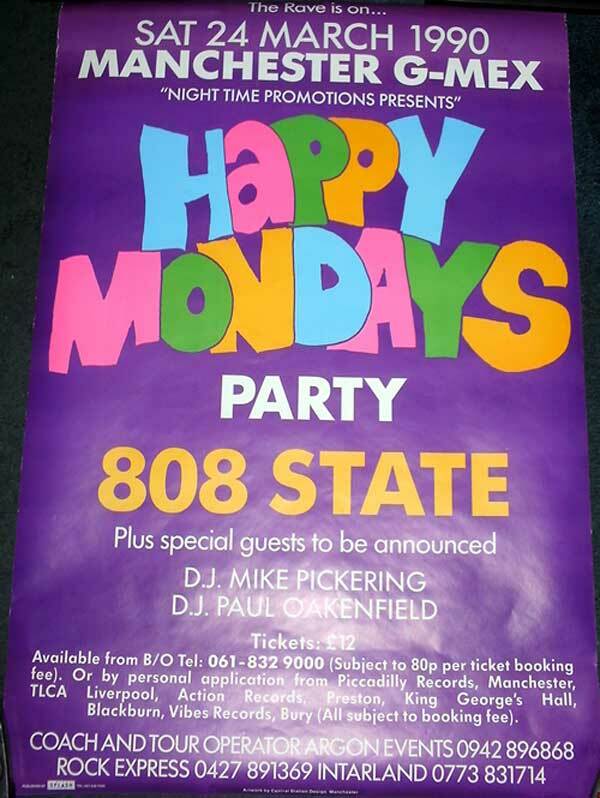 808 State's spiritual home is still the 12-inch single, but they turned out storming live renditions of 'Pacific' and the club hits 'Cubik' and 'Cobra Bora'. 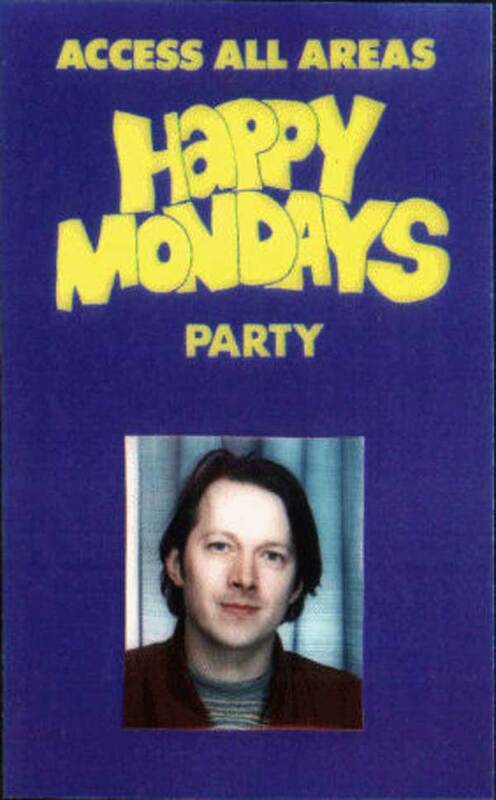 The Mondays date preceded Tunes' first hit with 808, 'The Only Rhyme That Bites', a fiery slice of hip hop techno studded with samples from The Big Country, while 808 later worked with DJ Frankie Bones in pursuit of their unofficial motto: vorsprung durch techno.